Fine jewelry from Houston Jewelry makes the perfect gift to give this Valentine’s Day! 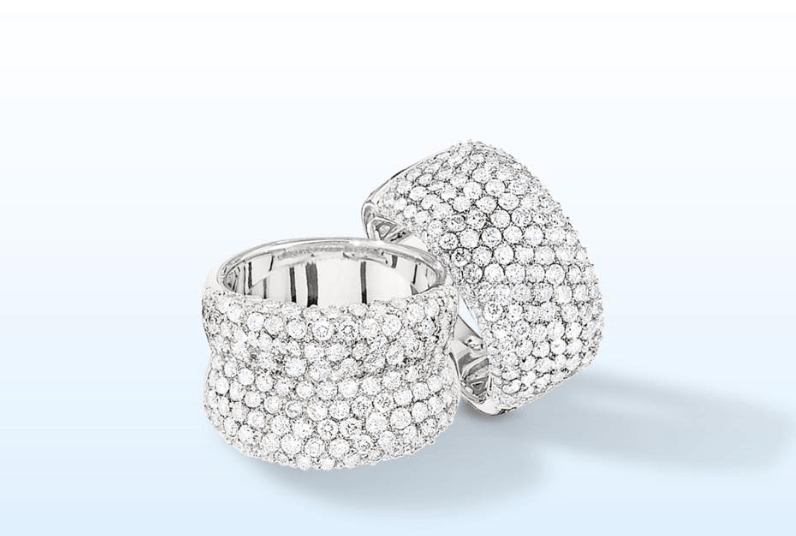 It’s hard to find a gift that says “I Love You” more than a stunning piece of jewelry. February 14th is the traditional day when romantics convey their devotion by exchanging gifts of endearment. Valentine’s Day jewelry offers unique and time-tested designs to proclaim your feelings. Many of yesteryear’s favorites remain very much in demand today. Romantic Hearts, there is no symbol more endearing. It is love’s most popular and timeless icon. Today, you can choose from hearts big and small, gold or silver, in either traditional or contemporary designs. 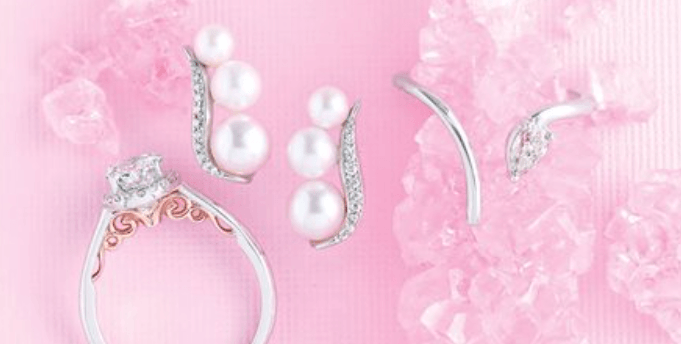 Lustrous Pearls are another Valentine’s Day favorite. Designs set with glowing, white cultured, colorful freshwater, or dramatic Tahitian pearls are gifts that are always flattering and perfect for a special someone. Love Notes. There’s no more personal way to express your feelings than with a piece of jewelry that displays a visible or hidden message. Engraving an item or having something monogramed is the perfect way to get your message of love across. Diamonds. No matter how small the package is, when the gift inside is a dazzling piece of diamond jewelry, you can be sure to receive a tremendous reception! Nothing says “I Love You” the way a precious diamond does! Remember a diamond lasts forever, chocolate melts! 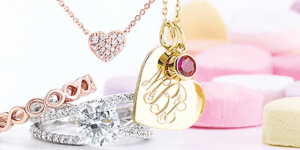 Give her the candy she really wants from Houston Jewelry this Valentine’s Day! Visit Houston Jewelry today and select from a wide range of all-time favorites guaranteed to warm your Valentine’s heart! We have gifts in every style and for every budget. Whether you are looking for a diamond heart pendant or a diamond band, we have the gift she will love! Ancient Egyptians were amongst the first known to exchange rings of love. Reeds, bone and leather were woven in circles, symbolic of eternal love and placed on any finger, even thumbs. It was the myth of a vein, called the “lovers vein,” thought to pump blood from the forth finger of the left hand directly to the heart, which started a tradition. From hand to heart, the left ring finger has since been dedicated for wedding rings. 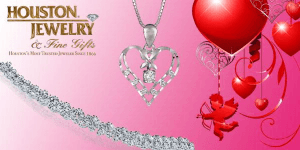 Visit Houston Jewelry today and let us assist you in finding a heartfelt gift for your special Valentine!